ChromeInfotech earned its name of a web development company long back when it stepped onto the ground of quality digital solutions development for the web. Speaking of web specifically, the company has achieved a ton of milestones when it comes to providing top-notch website development services. Today, the diverse team of ChromeInfotech provides all necessary services related to web design and development. Hence it’s recognized as a Full-Service web development services provider. Being a web design & development company, our services are recognized across the globe, and our clientele spans across a plethora of countries worldwide. That being said, let’s straightaway step into the massive world of web application development. Let’s understand the significant aspects of building a long lasting digital web-based business solution through the assistance of a web development services company. There are more than 3.5 billion people on the planet who have connectivity to the internet and access millions of web solutions every single day. What are the five crucial questions related to web application development? How a web development company can help business entrepreneurs? What is website development services? How to build scalable and consistent web applications? What is meant by web app MVP? How to get the best web development customer support services? How to get the best and quality assured web development services? 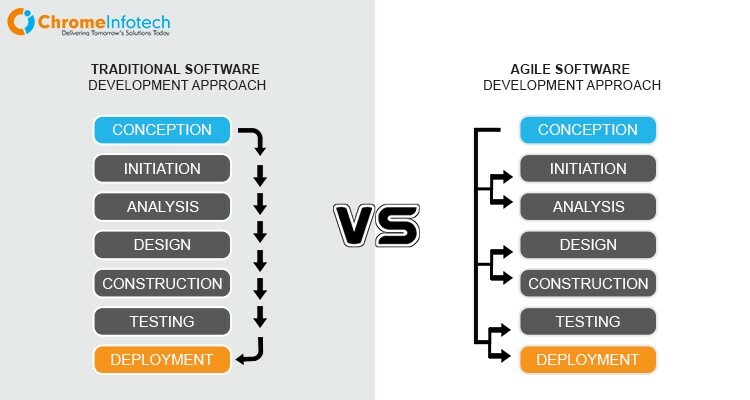 What is the importance of agile in web application development? What are the core pillars of web application design and development? Do you know the importance of analytics tools in web development? How to build a location-based business web app? Why you need payment gateway centric web development services for your business web app? What benefit can AI and Machine Learning bring to the table of web app development? How does a web development company implement blockchain based web apps? What is the importance of code optimization? What are the 3 things that must be present in a business web app? Why build responsive web applications? How a does a web development company take care of web design aspects? How to build the best and most optimized web app architecture? What is web development outsourcing? First of All, Let’s Address 5 Highly Crucial Questions. 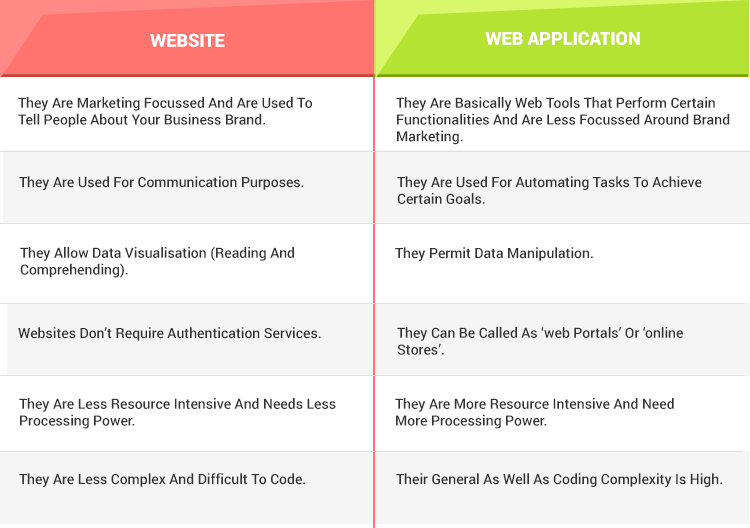 What is business based web development and what are its two major components? The systematic process of building a business-oriented digital solution for the web to drive more traffic and reach out to a broader audience set is termed as business based web development. Its sole purpose is to build a tech solution for any particular business to let it walk down the digital road and become a tech-driven business. Completing the web design à It includes designing the graphics, building up the interface and drafting the user experience. Content development for the web and its management using content management systems. Writing client-side scripts and developing server-side scripts. Working with and managing databases as well as web servers. Doing necessary configuration tasks related to network security and running a robust network. ChromeInfotech being a web development services company provides top-notch services to major international clients. Building a Website, which is basically content and information oriented. Developing a Web Application which is more driven by various functionalities. A website is a collection of connected, static web pages designed for the internet and constructed with computer code that provides some sort of relevant information to its users. These static web pages usually contain plain text, images or videos that are hosted on a web server and has a unique domain name. The process of collecting ideas and, designing and building the look and feel of a website and dealing with its aesthetic portion and usability is called building a website design. The process through which a website gets coded, tested and launched on the web using relevant web technology is called as website development. What are web application development and design? A web application is a collection of web pages designed for the internet that is functionality oriented. It means that they are created mainly to perform specific functions and achieving individual goals and objectives. These functionalities may be simple or complex depending upon requirement and goals as specified. The process of drafting the look and feel and working with the aesthetics of a web application is called web application designing. While the systematic process through which developers code, test and deploy the web application on the server is called web application development. Specific Differences Between A Website And A Web Application? Which one should an Entrepreneur choose for their business? You should go for a website if you want to market your brand among the audience and let them know about the services and products you provide. if you want to solve a particular problem of the web users in the market, go for building a web application that is based around a specific set of unique functionalities. What is a web development company? It’s your long term associate that will assist you with all the web application as well as website development services you need to bring your business idea to life in the form of a web solution powered by cutting edge tech. Your key to unlocking the possibilities of the business world through tech-driven business web solutions. Helping Entrepreneurs Overcome Major Web Development Challenges. When it comes to taking a business to the next level through a web-based digital solution, the majority of the entrepreneurs face a considerable amount of unwanted challenges in their way. 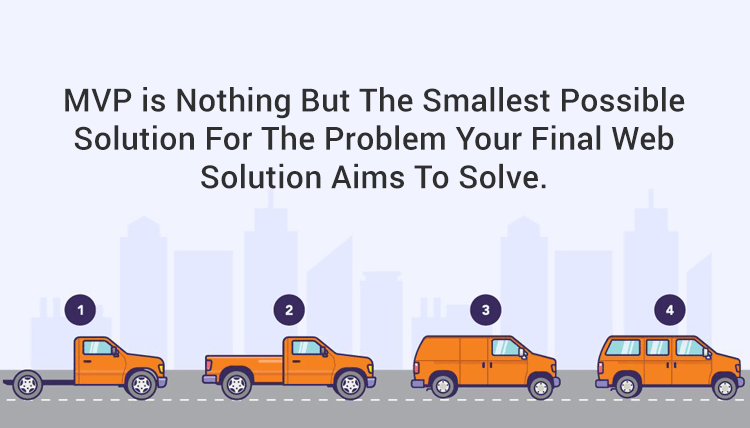 Not only at ChromeInfotech, we help them overcome these critical challenges but also help transition them successfully in their entrepreneurial journey to create something of long-lasting value. Being one of the web application and website development consultants, we provide web application and website development services to clients worldwide. We help them build the most reliable technology-driven platform for their business that can expertly help them to sell their products and services to a broad set of audience and generate more significant revenues. Marketing the web solution for any business is another big challenge faced by entrepreneurs. We at ChromeInfotech being a web app and website development company also help our clients to build cost-effective and hard-hitting marketing strategies to market their web solution in the best way possible. We help them transition through consistent business growth. A nightmare for any entrepreneur. We being a reliable web development company provide constant and consistent maintenance and customer services to all our associated clients. We help our clients build a product of value that justifies their business and help them stand out from the rest of the entrepreneurial crowd. Providing excellent web app and website development services is our forte, and we live by it to the best of our capabilities. We never compromise on delivering quality software solutions development services to global clients. We help our clients build a web solution MVP first and then build the full-fledged digital web solution. This helps us to reduce their failure rate and maximize the benefits earned during the process of development of their web project. Even though we are a web application and website developer company, still we have a digital team that helps us to formulate effective and efficient SEO strategies for bringing the web solutions developed to the top ranks of Google’s Search ranking results. They get the initial momentum required to achieve exponential business growth. We have a full-fledged web solution development team that allows us to deal with changing needs and requirements of the clients whether it is spontaneous or non-spontaneous. This definitely strengthens us as a web development company on various levels, and that’s the reason clients rely on us. Being a web design & development company, we help our clients to reduce their web development time and costs significantly. This helps them to save money from the long term business investment perspective. Also, we make the process of launching a web solution quite faster. We provide web application as well as data security assistance when it comes to developing and launching a market hit web-based business digital solution. As a web development company, we know data is everything for a business and application security means business sustenance. We help our clients to achieve both. Last but not least, we help our clients achieve the maximum performance of their web applications. As a leading web app and website development services provider, we take care of all the web application architecture design guidelines and resource management tactics to maximize the performance of the web solutions we develop. ChromeInfotech is a web development company that provides full-fledged web development services to its clients. We take care of the entire web development process for your right from conceptualizing the idea of delivering a fully functional web solution in the market. We provide website development services through the following funnel and for each of the stages we have a dedicated team that can assist you in overcoming any particular challenge you have in front of your business. Visualizing, conceptualizing, validating and finalizing the web solution idea whether it’s for website development or web application development project. Our strategic team and think tank can take care of building the core foundations of your web solution using custom designed techniques and methodologies. Designing the look and feel of the entire web solution. If you are wandering out to find the best web design agency who can help you out with designing and drafting of the UX of your web solution’s idea, ChromeInfotech is right by your side. We have a full-fledged designer and graphics team. They can help you draft the most unique and relevant UI and UX for your web solution. Being one of the globally recognized web app and website development company, we have a dedicated web developer team who has hands-On Experience in working with various latest and updated web development technologies. Each of our team members is well experienced. They can assist you with the complete development and deployment of the web solution to make your digital web-based business live at the earliest. We have achieved quite a feat as a web application development company, in this arena and have a huge portfolio to showcase that will convince your of what we have accomplished so far and what more we are capable of doing. We have an experienced Business analyst team. Our highly experienced business analyst team can take care of all your requirements and ever-changing inputs when it comes to developing a web-based business solution. As a web design and development company, whether it’s about taking care of building wireframes or finding a way to incorporate certain features into the web solution – You won’t be disappointed from our side on any front! Our excellent and reliable Customer Support Team and Web Solution Maintenance Team is another feather on the cap of our company! We have a consistent and reliable customer support team that can assist you with every single aspect you have once your web solution becomes live. As a web design development company, we are proud of ourselves and can assure you that you won’t face any issues on this particular front. We have also started our software development services in Indianapolis(USA) to serve significant industry segments and businesses. We help businesses build high-quality web apps over there. For a web development company, it’s essential to build web solution for its clients in such a way that they are consistent and scalable. Whenever a business decides to expands its operation in the near future, there should be no issues in scaling up web application operations. That being said, ChromeInfotech is a web application development company that helps its clients to design, build and deliver scalable web solutions so that businesses can grow to infinite limits through a digitally driven web based solution. We also believe in providing a consistent set of website development services. Be it any area of web development, we will help you to overcome any kind of challenges ranging from designing to development to testing to deployment and web app maintenance. We ensure that you have no stone left unturned when it comes to high quality web application development. We as a web development company believe in the philosophy of building a web Solution MVP first and then going forward to build the full-fledged business solution. At ChromeInfotech, we know what MVP development holds in store for a successful web driven business and hence we lay emphasis on this for each and every client that associate with us. We feel that it’s our responsibility to guide our clients towards the most appropriate path when it comes to building a web based business solution. Providing mere website development services is not enough for us. We want to take all round care of our clients. That’s why we insist on building a web solution MVP first as it can help you save up to 60-70% of your web development costs and also save you a lot of time. It comprises of all the basic and fundamental features you need to kick start your web application. It basically includes low-tech-high-user-impact features that can help you jump start a lot ahead in your business game. It not only helps you to save time and money but also helps your business gather the most relevant and broad set of audience. Whether it’s about providing development and web design services for small business or a large business, we treat everyone with the same approach and help them build a successful MVP. It allows you to become a market leader and a monopoly in your business segment. Last but not the least, it helps you to bridge the industry gaps and connect other businesses with a relevant audience. So whether you are a small or large scale business looking to take your business digital, start off by building a web MVP first and then the full service product. We as one of the web app and website development service providers will assist you. How We Help Our Client Deliver Best Customer Support to Their Clients? You ask what they are? Here’s the answer from a web development company. Well, they are chat tools built for web applications that helps to connect our clients with their users in the most relevant way possible. These tools let our clients build an effective feedback mechanism and conversation system. This in return let them solve every single query their users face while using their product. Have a look at the top chat SDK tools used at ChromeInfotech as a part of providing top class web app and website development services. Also, get to know how they are proving to be beneficial for our clients and boosting their businesses by at least 40%! THEY PRIMARILY HAVE THREE BENEFITS. Build a feedback mechanism for our clients through which they can improve and evolve as a web based business brand by collecting user feedbacks. Solve technical problems faced by users in using our clients’ product. Resolve operation issues faced by the users of our clients. In Short, we use trending chat based tools to connect our clients effectively and efficiently with their business users. At ChromeInfotech, we make use of certain quality assurance practices to make sure that every shipped product from our end is bug free and has maximum operational performance. Our focus is always on cross browser compatibility testing. We as a web design and development company create multiple circumstances and then measure the application’s performance under them. Testing every single element of the web application and not leaving anything behind. When it comes to testing web services, we test them individually. In the case of usability testing, our approach as a website development company is – we first choose the right factors to produce accurate test results. 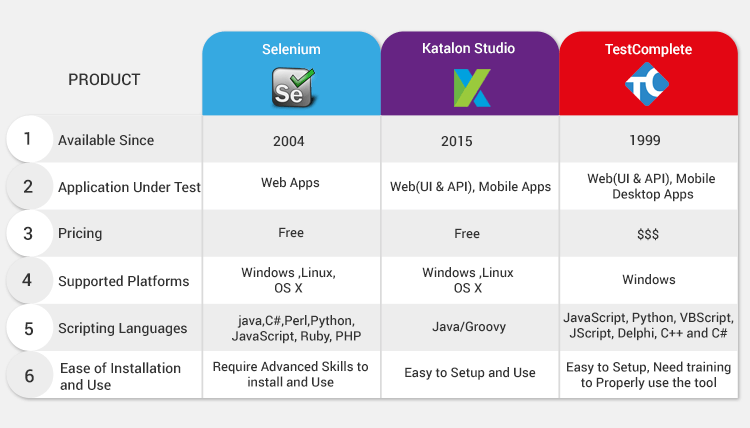 Selenium: A web testing framework that is used to perform web application testing across a plethora of browsers and platforms such as Windows, Linux and MAC. TestingWHIZ: A test automation tool that do not require any code base scripting. We mainly use it for web testing scenarios as a web development company. TestComplete: Functional testing platform for automatic web application testing. Ranorex: Testing automation tool and bug detection software for web applications. Sahi: To perform web application testing for multiple browsers. Telerik TestStudio: Helps to perform UI testing, load testing and performance testing for web based application. Have a look at the tabular comparison between some other tools we being a website developer company use at ChromeInfotech so that you get a bug free and high performing web solution delivered. At ChromeInfotech we strictly follow the agile web development methodology as depicted by the below diagram. We keep a consistent branding throughout. Building strong CTAs is what we do and suggest. We try to create fast load time for a web solution. Optimising SEO is on top of the priority. First hand as a website development company, we make our solutions mobile friendly. Making the navigation easy. Engaging in responsive web development. 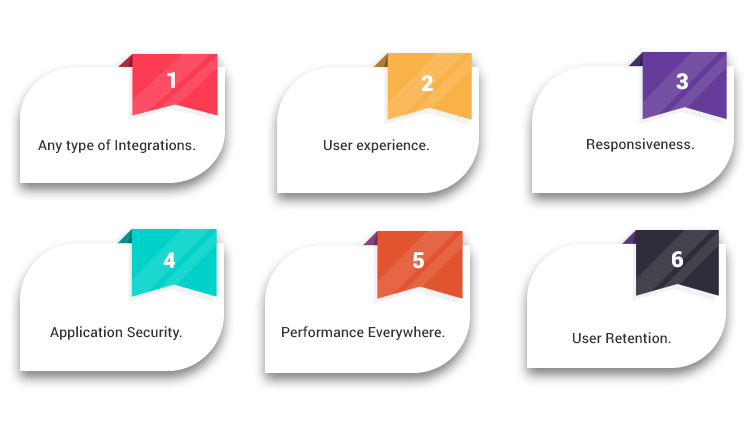 Building a high quality user experience. Following all the technical guidelines. Following all the syntax rules. Sticking to all the semantics rules. Following the documentation of a particular technology to the best level possible. Writing necessary media queries for responsive web development to bring website design to functionality. Development of single page applications. Engaging in smart devices and connected application development. Leading the cloud application development front. For innovative angularjs based web application development , we make use of AngularJS technology. Build productive solutions for top reputed clients. PHP is another technology we use for open source PHP web application development and this is one of the technology used by the majority of the active web solution today. For Modern web development using MEAN STACK for any kind of business, we use MEAN stack technology. We choose to follow as a website development services company to select the best technology stack for your business application development. Timeframe and deadline and time at which the product will be launched in the market. How much it will cost to develop the web application? Technical expertise and level of complexity to deal with. How much maintenance is required to be done by a web development company? What are the application security parameters that we have to cater to and deal with? Are we going to build a horizontal scalable or vertical scalable application? Taking care of all the scalability issues. Based on testing and security features implementations required. Also, while engaging in quality assured web application development, we use various top tools. Core Web Development Pillars We Stick to 24/7 No Matter What! How We Help Our Clients Grow with Web Development Analytics Tools? Providing website development services is our forte. When it comes to the web app and websites development many businesses strive with achieving a constant and consistent growth trajectory. They sometimes lack a very important aspect and take it for granted. 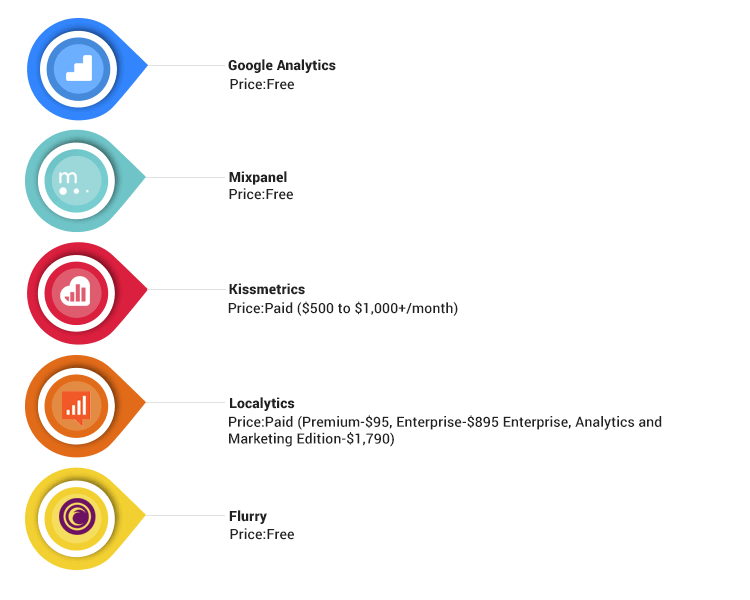 It called the use of analytics through relevant web app analytics tools. Analytics tools and software allow any business to monitor every aspect related to their business through a web application. Being an innovative web development company, we provide web development analytics related services to many of our clients. Want to Implement Location Based Functionality in Your Web App? We get a lot of clients who are interested in implementing navigation based functionalities into their business oriented web app. Whether be it web design services for small business or large scale businesses, many entrepreneurs today are interested in developing navigation oriented web based business solutions. If you are one of those, you have come to the right place. ChromeInfotech hailed as a web development company, can assist you with your needs of integrating location based functionalities into your business web solution. Whether it’s about building a cab riding service or a food delivery app or any other navigation based web app. We can help you integrate some of the top map integration platforms into your web product that can help you go the long distance in your successful business journey. 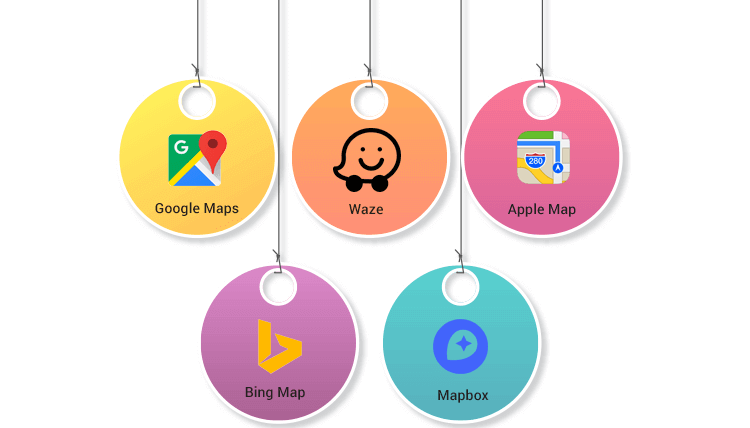 Read about these hugely useful map integration platforms and how they can help you get the best result from all the website development services accounted for by you for your business web development project. Many entrepreneurs are interested in building a payment centred web app. This is basically oriented towards the ecommerce segment where an entrepreneur wants to sell products online through a web app. We at ChromeInfotech as a web development company can assist you with payment gateway functionality integrations if you have any such needs for your business web application. 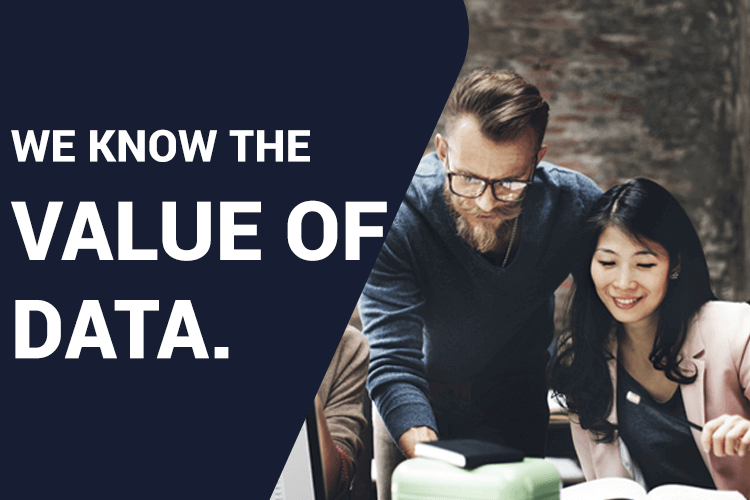 We know that it’s everything when it comes to running a successful data driven business. ChromeInfotech provide payment gateway centred website development services to major international clients and help them implement safe and secure transaction based systems. We believe in imparting secure and safe services to all our clients. The biggest of all – we follow data encryption as a web application development company and always keep a backup of data. Keeping a web application security blueprint and performing an inventory of web solutions. Prioritize bugs and vulnerabilities and fix them early on. Always make use of HTTPS and X-XSS protection and recommend everybody as website development consultants. Use a content security policy. Implement strong password implementation functionality and secure system for resetting passwords. Follow data input validation & Perform frequent risk assessments. When it comes to security configurations, we as one of the website development service providers set them adequately. Patch our web servers and inspect all the incoming and outgoing traffic. Implement data security benchmarks for mobile devices also for accessing web solution. We are among the globally recognised website design and development companies, and want to make sure that each of our clients gets the best services from our end. 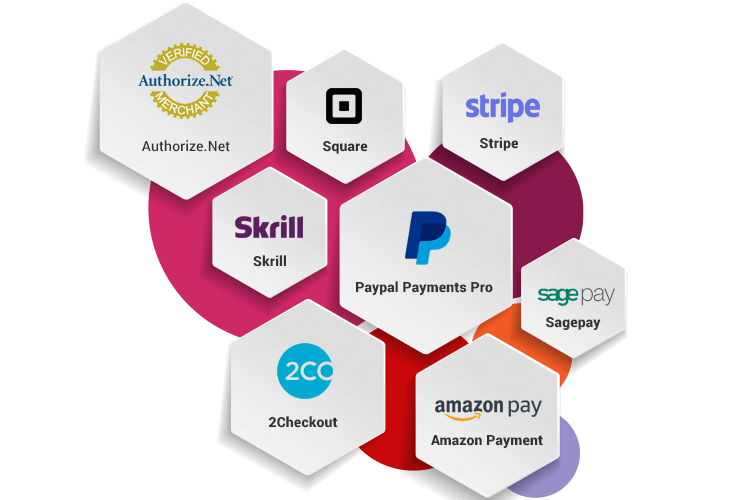 Read more about the above payment gateways at best payment gateways of 2019, a survey conducted by ChromeInfotech. ChromeInfotech is Heavily Driven by A.I. and Machine Learning. Being a modern web development company, ChromeInfotech is heavily driven by the potential of AI and ML when it comes to web solutions development. We use the following techniques to blend the benefit of AI and ML into web development. Automating the web design part. Making use of web design automation tools to get a more accurate understanding of how a web solution’s design should look like. This is done taking into account the brand image and its purpose. All this is taken care of by the automation tools. Increases the chances of web solutions success. Apart from design, we use AI tools in web development that make use of chatbots. These chatbots helps to provide comprehensive suggestions while designing and framing each and every aspect of a web based solution. Also as a web application development company, we make use of AI driven analytics, SEO and other content related tools to better frame the overall web solution. Not only this helps us to reduce the complexity of web development but also create a personalised and customised web solution from scratch. 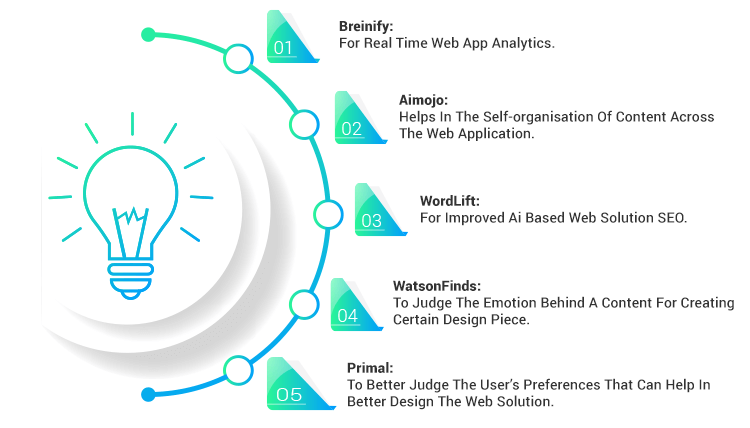 Have a look at ReadWrite’s post on Web Development Driven by Artificial Intelligence to know more specifically what AI holds in store for web development. We’re Not Far from Implementing Blockchain Based Web Solutions! Being an established web development company, we do not hesitate to try hands on new technologies. One of the most talked about technology in the web space is blockchain which has taken almost every single industry segment by storm. We also assist many of our clients in implementing blockchain based features in their web apps such as cryptocurrency implementation and building Web and IOT related solutions. The scope of blockchain is tremendous and we have realised it as one of the full-service website development service providers. Have a look at Blockchain in Mobile App Development as it will help you realize how blockchain is a boon to the tech world and major industry segments when it comes to web development. How ChromeInfotech Helps to Build Code Optimised Web Solutions? As a web application and one of the best website design companies, developers at ChromeInfotech helps businesses to develop code optimised web solutions. We engage in code reusability and use relevant toolbars to make writing code easy and efficient. Code is written in the most organised manner. Every line of code is placed where it should be placed. We compress the files that contains written code. We always make use of code libraries and existing coding frameworks. Our developers make the best use of keyboard shortcuts. to deliver top notch web apps and websites. We make use of the best IDE (integrated development environment) and code versioning and management tools like GitHub. Taking one thing at a time helps us to achieve better results. Also, we use automation while writing web solution code. We do web caching optimisation, image optimization and code minification. We always reduce algorithm complexity to achieve faster results. Being a website development services provider, we reduce the no of HTTP requests going to the server while coding the web app. We also make use of relevant coding paradigms that helps us to clear out the required approach for coding web solutions. Also, our developers refer to code written at top open source code contribution platforms to get better insight into code writing skills. They help to make the code readable and well documented that can be easily maintained. 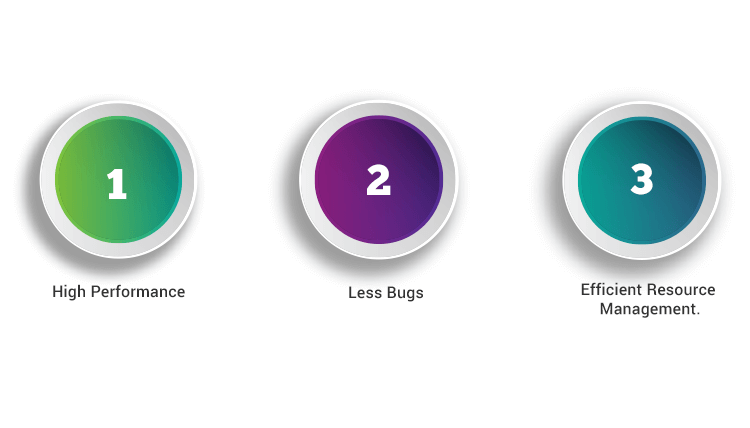 We integrate 3 things in any web solution we develop on top priority. You will be assured that – “I have a web development company near me who can take full care of digitisation of my upcoming business. Integrating CMS in a web solution makes it easy for any business to publish content as and when required. We as a web development company make use of top CMS portals like WordPress to blend it with the web solution we develop so that our clients have no problem updating new content to their web application. It helps a lot in updating fresh and original content to capture more audience’s attention and helps to strengthen your digital game. Integrating a CMS that is SEO friendly. Taking care of web hosting aspects. Making the web solution mobile responsive. Implementing code validation on top priority being a web application development company. a proper site hierarchy and navigation. Creating an optimised URL structure. Properly doing Internal linking and removing broken links. Creating and making use of well-developed content. Have a read of How to Win Big at Web Development SEO to know more about how we as one of the best website design companies take care of web development SEO. Do you know how it helps you as a web based online brand? It helps to make a strong online presence for your brand by straightaway putting an impact on your web solution’s design and UX and functionality. It helps your brand to reach out to a wide audience and gain positive reviews. A major plus point for the long run. The integration of social media listening tools during web development helps your brand to look out for what’s trending with your competitors. How we do that as a web design and development company? We make use of social share buttons as well as follow buttons that are up to date. 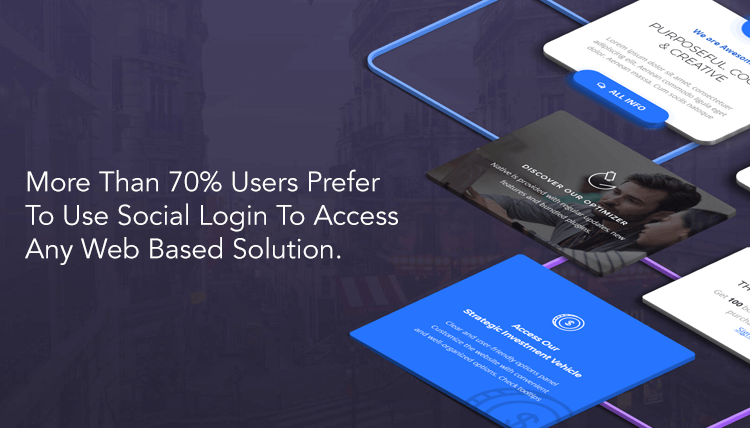 We integrate social login functionality in your web solution. Integrating social videos that will straightaway land up on your social media page. Integrating links to social media platforms. We integrate social media only where it makes sense. Apart from that we bring in the senior management of the associate company also into the picture and understand it’s importance as a web design development company. 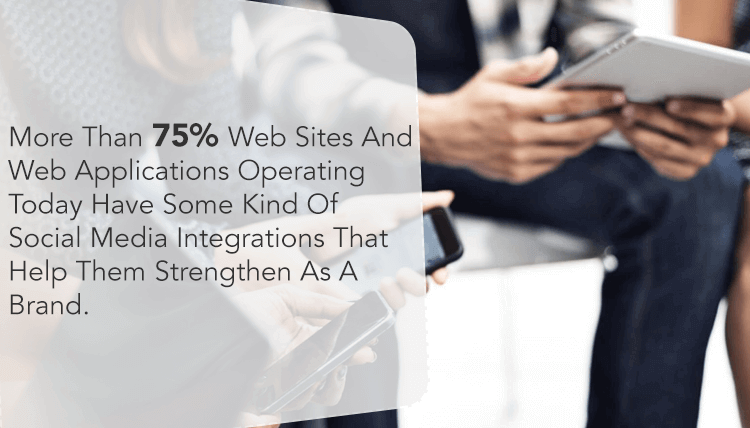 How social media integrations are performing. Developing a social media integration strategy and to clearly bring out the USP of your web driven business. As a web design & development company, we improvise the way and approach every single time to place header social icons. We select the best place that will be best suited from the point of view of users. These are the 3 crucial components that helps any business operating through a web solution achieve a constant growth. ChromeInfotech Engages Strictly in Responsive Web Development. We understand the need of consistency and uniformity when it comes to developing business based web development solutions. We being a web development company know it’s highly necessary that a web app or a website opens uniformly across platform desktop, laptop, mobile and tablet. So, have a look at what we have to say regarding this. Today more and more web traffic is detected through mobile devices. Adopting responsive web development helps to save time and money for creating a uniform web product ecosystem. Maintenance required is very less and it simplifies the web development process. Web pages run faster and increases web solution’s performance. We as a website development services company clearly understand that and take care of it. Bounce rate of the audience on the web app or website reduces significantly and this increases the chances of business conversion. Integrating, monitoring and managing analytics is easier with responsive web development for various devices. Most importantly it helps to improve the SEO of the web solution. It helps to improve your rank on google search results and therefore you need the best web development firm for your needs. It improves bot online as well as offline experience when it comes to browsing. You get a flexible web solution with an improved user experience. It ensures the future scalability of your business. Since they make use of fluids, so the web pages can be scaled up or down to fit various screens that might pop up in the market in the future. Overall it helps to build a positive perception of your business brand and improves its image in the market and stay ahead of your competition. Have a read of Forbes article on importance of responsive web development to get better insights. Today more than 1/2nd of the world population uses a smartphone and access the internet through their mobile using a specific browser. Web development is also integral to smartphones and taking the next step of building a smartphone app through innovative mobile app development for your existing business web solution. It is observed that more than 90% searches across the globe on google occurs through a smartphone. Everyday there are almost 5.7 billion searches made on google when it accounts for the web. We make use of relevant, responsive web development technologies like twitter bootstrap where we use a fluid, great, flexible text and images, and media queries. Developers at ChromeInfotech test the web solution across all the devices to achieve uniformity in overall user experience for the user. We eliminate unnecessary content or codes and prevent you from getting a content penalty by google. Our developers always design with the web in mind. This is what makes us a trustable website developer company. How We Take Care of Web Design Aspects from Our End? Building a design that increases the overall web app load speed. Strive to achieve simplicity and consistency in designs. Implement the F-Shaped reading pattern. Last but not the least, implementing material design principles as a web development company. Integrating micro-interactions as much as possible. We authenticate our designs as per authentications patterns. We try to engage in the art of storytelling through our design. Taking the best care of the logo designing as a website development services company and creating the best representative of your brand. Using the hamburger menu and grouping necessary features together. Designing a feedback mechanism + Integration of help section + integration of FAQ section. Creating interactive designs that gains maximum attention of the user and increases user interactivity. Creating UX driven diagonal lines. Implementing scroll triggered animations because we realise its importance as a web design company. Adding further depth and intensity in the designs. Making use of abstract shapes wherever required. Making use of fluid elements. Building overlapped design elements. We know it’s important as a website design company. ake use of black and white palettes wherever necessary. Refraining from implementing too much motion. Making use of hero elements wherever necessary. of chatbots as a web application development company. Making use of hover effects. We strictly follow responsive web development. We use some of the responsive web design tools to get top-notch web designs developed. Also, have a look at 29 other design tool our team uses at ChromeInfotech to build top notch designs. We use strong brand colours as a one of the website development service providers. This helps us to portray the authority of the brand. Strong indicate strong brand personas. Everywhere in our designs, we implement the right combination of brand colours. We also make use of contrasting colours wherever necessary to appeal to the user’s emotions. We take of this by implementing large size fonts for the headings and choosing the relevant font size for each and every location of the text. Also, we make use of SERIF font on the main screens. Not only that, we do not refrain from experimenting with fonts as a web design development company. We also make use of outlined texts and try to achieve the best readability in fonts. Making use of best layouts. Using broken grids and asymmetrical layouts. Implementing the split screen layout at various places and making it mainstream. Making use of card-based layouts. Communicating properly with relevant content. Content is the most important part of any web solution’s design. Proper and relevant content helps to communicate the exact intent of your business brand. Right content means right business execution and we understand that as a web development services company. Building components with CTA to gain better user engagement. Call to action components helps to engage the user by letting him perform certain tasks. Making best use of animations and transitions. We make relevant use of animations and transitions wherever required. The concept of using white spaces. We don’t neglect this as a web design and development company. This is often considered as a risky element to deal with. But it’s important to use the right amount of white spaces to get proper look and feel of the designs. Using relevant types of images. Use enhanced and elevated images. Use the proper sizes and image formats. Make use of high-quality images. As a web design & development company, we are building one of the best navigational experience. For desktop browsing, we make the web solution for different resolutions. For mobile browsing, we make use of thumb-friendly navigation. Making use of intrinsic web design. Create a logical page hierarchy and implement the three click rule. Making use of videos wherever necessary. As a web design company, we make use of the right amount of videos as required to make the interactivity and engagement of the user scale up the next level. Often we make a design where the video is embedded in the home page and other important pages. Using videos in backgrounds is something we do very often. Hence all these factors help us to achieve the best web solution usability. Building Optimum Web Architecture to Achieve Maximum Performance. When it comes to developing a business based web solution, the architecture development stage is very much crucial. It completely depends upon the requirement of the entrepreneur and what goal they want to accomplish. Multi-page web architecture, where the website or web application contains multiple page. Single page architecture, where the entire web app or website consists of a single page. Service-oriented architecture, where most of the web solution exists as web services. Serverless architecture, where you can leverage cloud infrastructure to operate your web application. Layered architecture, where there are N layers through which all the operations take place. TechBeacons Top 5 application architecture patterns to know in detail. 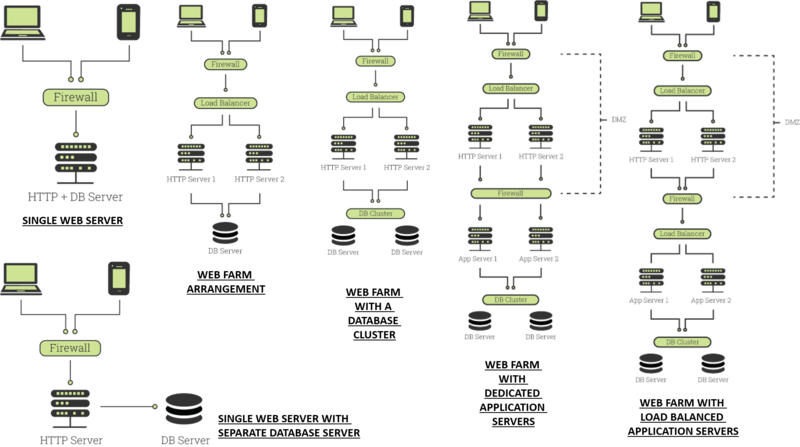 Web farm with a database cluster. Web farm with load balanced application servers. Designing the overall architecture of the web solution. Creating an optimised network architecture to facilitate better and efficient data exchange. Achieving a perfect utilisation of computing and other resources. Save their time and money, of-course. Helps them reduce operations obstacles while they are conducting their web centred business. Efficiently manage their resources and generate higher business revenue. Build an optimised web application architecture? Follow a problem solving approach which is consistent, and uniform. Do not over complicate the functionality of the web solution. Build the web solution as per the latest standards. Make use of automation and its implementations as much as possible. (We are heavily driven by Automation). Make a clear understanding of your business goals and end objectives. We as a web design development company always keep the user in mind. We also help to make a design of the information architecture so that efficient data flow and content depiction can be derived. Have Web Development Projects to be Outsourced? We’re Right Here! ChromeInfotech is a web development company that also deals with projects outsourced from the various location across the country as well as outside of the country. We have established ourselves as one of the major leaders in web development across major locations that let us serve businesses better and more efficiently. Well, you have got to end all your worries with ChromeInfotech. We are a full-service web app and website development services company that also take care of outsourced web development projects. We are competent in major web technologies and frameworks and can help you to develop high-quality web-based solutions for your business. As a web application and website development company, we provide every kind of assistance related to any kind of web-based technology implementation that can help you take your business to the next level. Have a look at our years of high quality and recognized work when it comes to quality web development. We have a lot to showcase. How it can add value to your business? What is a web development company? It’s your backbone for developing a successful web-based business solution. How to find the best web design agency? How to make the best use of web application and website development for scaling the business to the next level? “What to look for to find the best website design companies near me?” – You can get the answer to this as an entrepreneur. Let us know if we have anything to assist you with by going to the form in your right and submitting your necessary requirements. To build something of long-lasting value! Having a full-fledged experienced team allow us to serve you better. We know the importance of web development and how it can transform your business to something exciting. So it’s time to realize the importance of web application development for the good.